Los Angeles Carpet Cleaning .us specialized fire and water restoration teams are trained for working under high-pressure conditions. 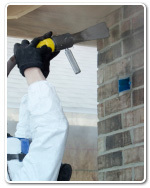 They are qualified to handle the most complex fire damage recovery tasks. Los Angeles Carpet Cleaning .us prime motivation is to salvage as much of your property as possible. We use the most advanced fire restoration equipment for removing soot from upholstery, clothes and carpets-thus saving you money. We employ cutting-edge fire restoration techniques to help get your life back to normal. Los Angeles Carpet Cleaning .us is the fire and water damage restoration company to call in the event you require our emergency service. You can call our emergency hotline at 213-596-9756 24 hours a day, 365 days a year.